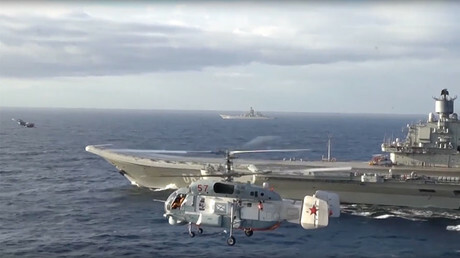 The Kuznetsov group will return to its home base in Severomorsk, the chair of the Russian General Staff, Army Gen. Valery Gerasimov, announced on Friday. Russian President Vladimir Putin ordered a partial pullout of military forces from Syria after negotiating a ceasefire deal with Iran and Turkey. He said it offered an opportunity to end the six-year armed conflict in the Middle Eastern nation. The Kuznetsov was deployed to Syria in mid-October 2016, accompanied by three other warships and several support ships. In addition to using its warplanes to target militant forces, the group used its Mediterranean mission to train in joint action with other branches of the Russian military, Col. Gen. Andrey Kartapolov, commander of the Russian forces in Syria, said. This included interaction with warplanes deployed to the Khmeimim Air Base near Latakia, interaction with shore-based Bastion cruise missile batteries, and establishing joint air defense over Syria involving both ground-based and ship-based anti-aircraft systems. 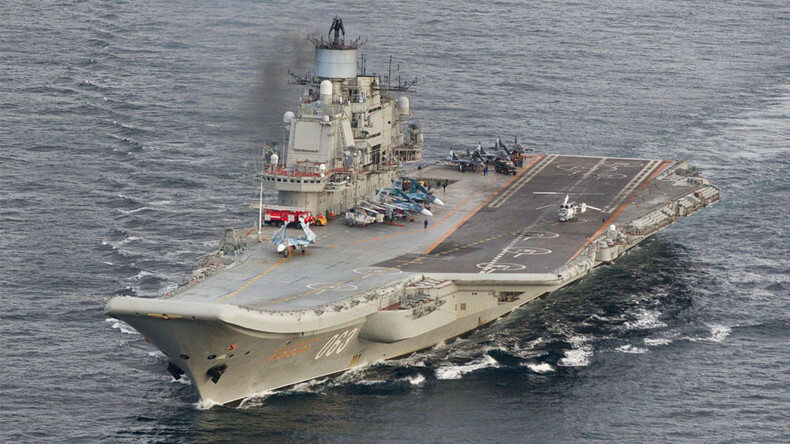 “All combat tasks assigned to the aircraft carrier group have been accomplished,” Kartapolov said. As the Russian military pulls out of Syria, Damascus reiterated its gratitude for Russia’s help in the conflict. “The support that the Russian Air Force offered was crucial for our victories, which paved the way for a ceasefire and created the conditions for launching a political settlement of the Syrian crisis,” the chair of the general staff of the Syrian armed forces, Lt. General Ali Abdullah Ayyoub, said, as reported by RIA Novosti.